One hundred years ago today the fighting in Europe stopped and the guns fell silent. Like people the world over, the Chinese celebrated the arrival of peace: a three day national holiday was announced in China. As the sounds of the last gunfire faded, it is hard to imagine what thoughts ran through the minds of the Chinese labourers across France and Belgium. Joy, sorrow, confusion. But at least they were the lucky ones, they had served the war, they soon they would see their loved ones and their beloved homeland again. This was not to be for many hundreds of men of the Chinese Labour Corps. Although there contracts were for three years, or up to six months after the war ended, they would eventually come to realise that the end of fighting was not to be taken as the end of the war, and it was deemed the war would only be over after the peace treaty was signed. As a result the last of the Chinese labourers did not leave France until 1920. In the meantime, the dangerous task of battlefield clearance and reclamation claimed many lives, even more were claimed following the onset of the Spanish flu. The eleventh hour of the eleventh day of the eleventh month proved to be a false dawn, the patience and endurance of the labourers was to be pushed to the limit. In some ways the progress of the campaign to build a national memorial mirrors that experience in as much as we had hoped to have unveiled the memorial by this point at ABPs Royal Albert Docks development. Sadly that was not to be, though we are pleased to see ABP’s development is taking shape and looking fantastic. It has been a long journey so far, and we still have some distance to go. We should not loose sight of just how far we have travelled. The Chinese Labour Corps is still not widely known about, but compared to when we started the campaign in 2013, the number of people who are aware of the Corps has increased many times over. This is particularly true within the Chinese community, and we feel very strongly the responsibility to fulfil the dreams and wishes of the community to complete the memorial, and be assured that we will, sometime in 2019. To commemorate the centenary of the Armistice we are pleased to release today a new tribute video by musician and author Clive Harvey. We are also publishing a second video which shows for the first time elements of the Memorial Huabiao. We are pleased to report that the Huabiao’s construction has now been completed by our strategic suppliers, JSBS in Shijiazhuang, Hebei Province. 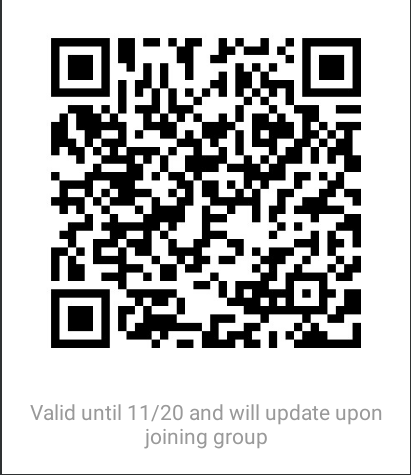 We are also launching a WeChat group for donors to the campaign. This will give more regular updates to those who have donated money, small or large. We are exploring demand for a similar WhatsApp group, To request membership of the WeChat group please scan the QR code and state the name in which the donation was made and the amount. The search for a location to build the Memorial Huabiao in central London continues. We welcome any suggestions from supporters for a site to consider. We have built a micro-site that explains the social, cultural and economic benefits the Huabiao will bring to the location in which it is built.